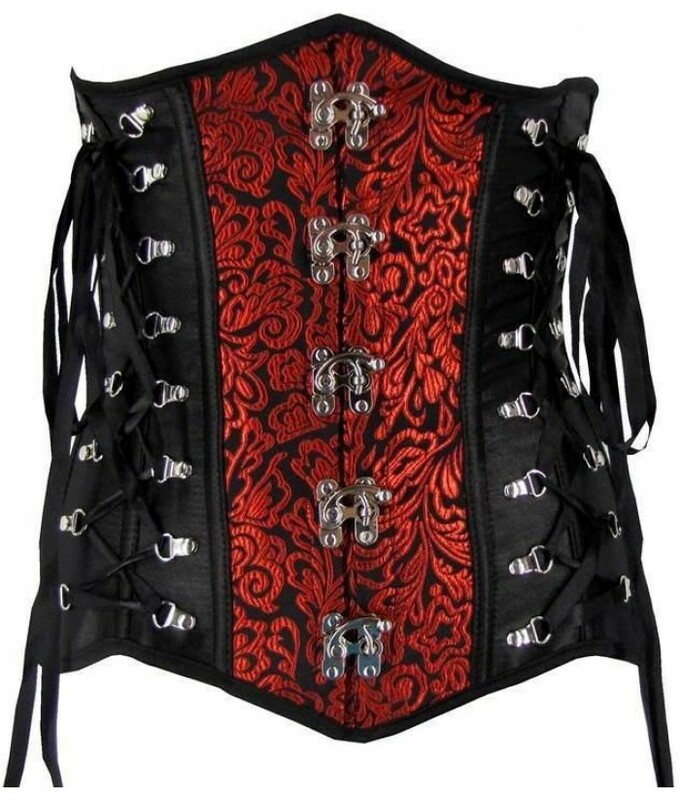 As celebrities come swooping by to answer your questions, you are feeling positive and graceful in this red and black Victorian pointed underbust corset, by Discreet Tiger! 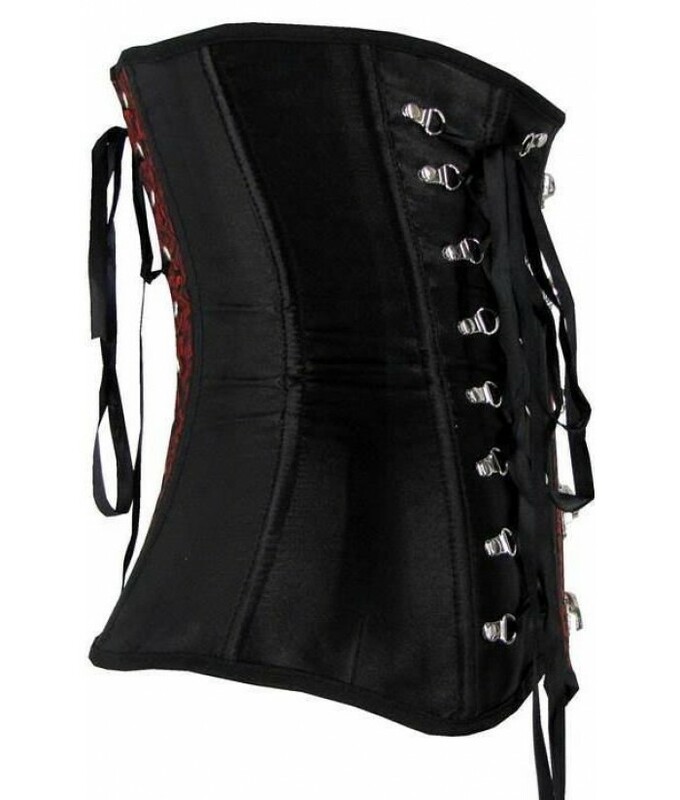 This body hugging leaf embroidered corset is topped with criss cross and hook side details, large swing hooks on the front and flexible boning throughout. 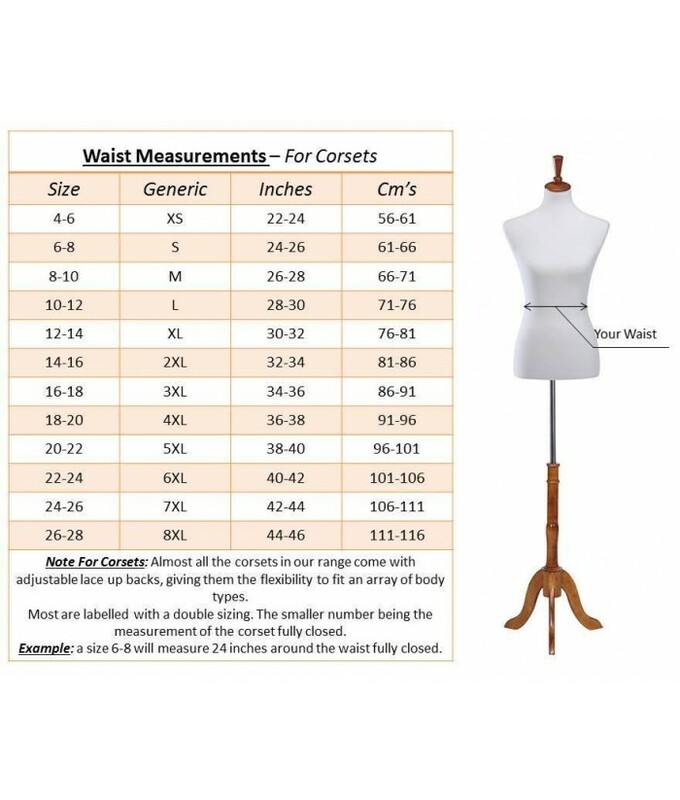 The under-bust displays a lovely look of femineity with the choice of the modesty panel and long tie up lacing. Perfect for getting your pre show news feed. 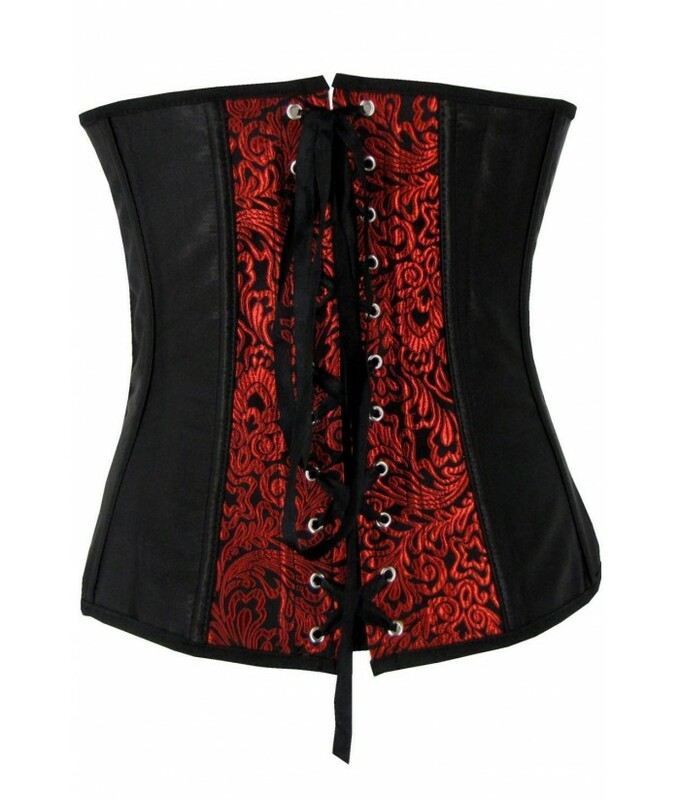 This underbust corset is also available in an overbust corset style. - Embroidered leaf details on the front and back. - Swing hooks on the front of the top. - Modesty panel to cover back if needed. - Criss cross lace up detail on both sides of corset.